During birth the bones of the cranium are not fully formed to allow the baby to pass through the birth canal. These bones can become severely compressed. The cranial compression will often correct itself but sometimes the forces of birth can overwhelm this ability to remould This can cause far reaching physical, emotional and psychological effects. Birth may also cause some stress patterns in the soft tissues of the baby and even the easiest of births may leave some disturbances. Interventions such as caesarian, ventouse, forceps and artificial induction can be particularly traumatic for the baby. 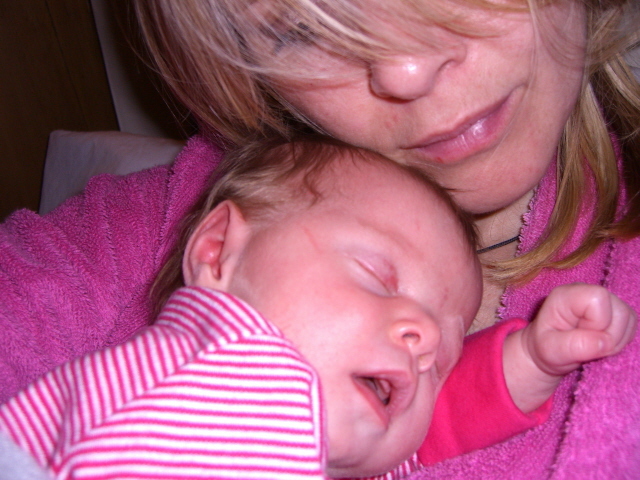 Many conditions that babies routinely suffer from such as colic, fractious behaviour, breathing difficulties, digestive problems, ear infections, eczema, feeding and suckling problems, glue ear and reflux can be the result of unresolved birth trauma. Therapy is non invasive and clothes and nappies are not removed. By attempting to work with some of the imbalances early before chronicity, babies are allowed to resolve some of the traumas of birth which allows for healthy developement and paves the way for greater confidence and self esteem. Older Children: may also benefit from where unresolved birth patterns or subsequent trauma both physical and emotional may affects a child's health and well being. These may contribute to a number of different conditions, such as anxiety, asthma, allergies, bed-wetting, behavioural problems, constipation, dyslexia, dyspraxia, continual ear infections / glue ear, eczema, headaches, hyperactivity, insomnia, learning difficulties, nightmares, sinusitis, visual disturbances and weakened immunity. Accidents, post-operative or dental trauma, stress and many other factors also have wide ranging effects that may benefit. All work is done with co-operation of the child and parents.